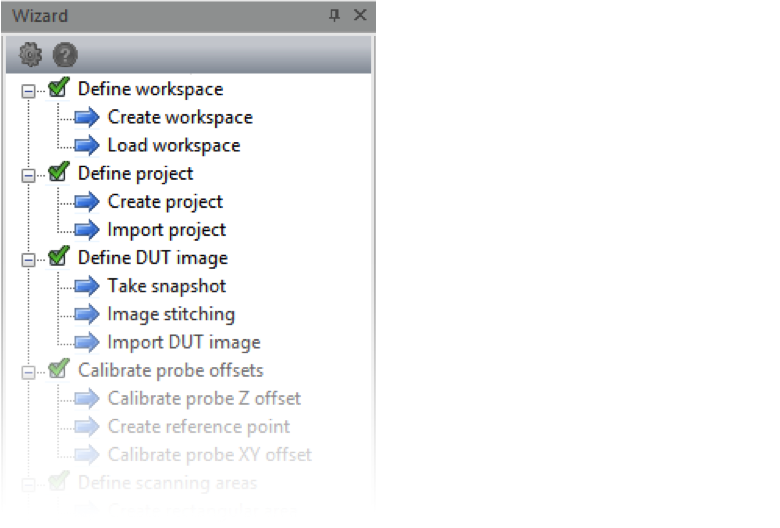 The same workspace may contain multiple measurements of different measurement technologies. Very often the same DUT or the same EMC problem should be approached from more then one measurement technology. For example, when a product fails during ESD Gun Test, ESD Immunity and Current Spreading scanning combination is highly evocative for troubleshooting. 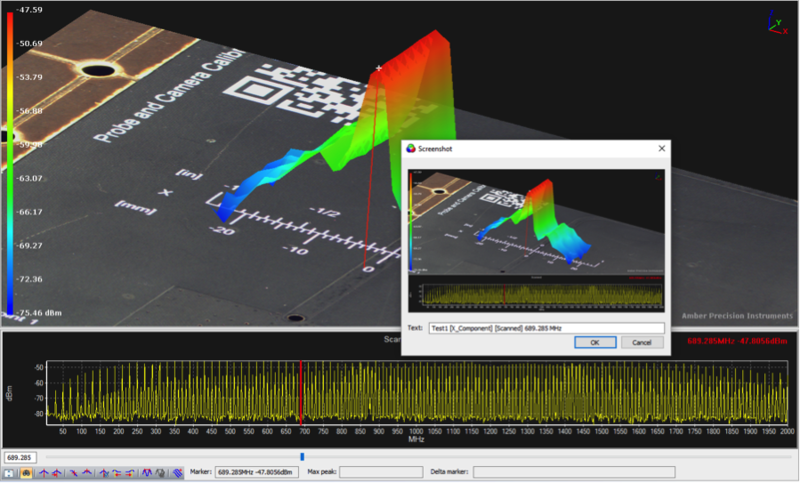 ESD Immunity scanning will reveal traces and components that are the most susceptible to ESD disturbance, while Current Spreading scanning will visualize path of ESD current propagation. 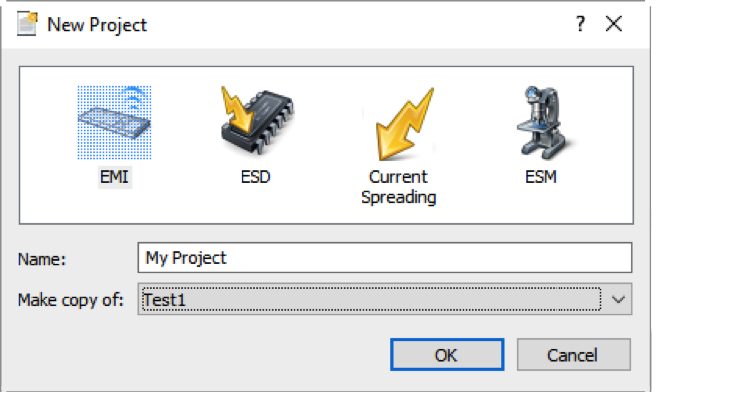 Integrated Wizard guides user through the setup procedures and tracks completeness. It will not allow user to run scanning if any of the steps is not completed. 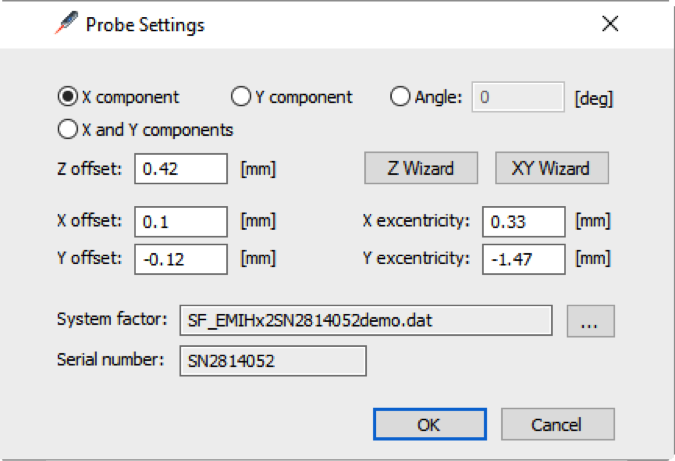 Clicking on the wizard’s components automatically opens corresponding GUI. This makes it much more easier for an engineer to run a test without deep knowledge of the software. There are both manual and fully automatic methods to detect the Electrical Center of the probe. 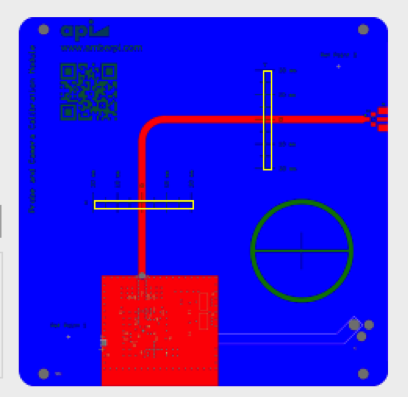 These offsets are necessary to correlate measurement location, image of the DUT with the Electrical Center of the probe. 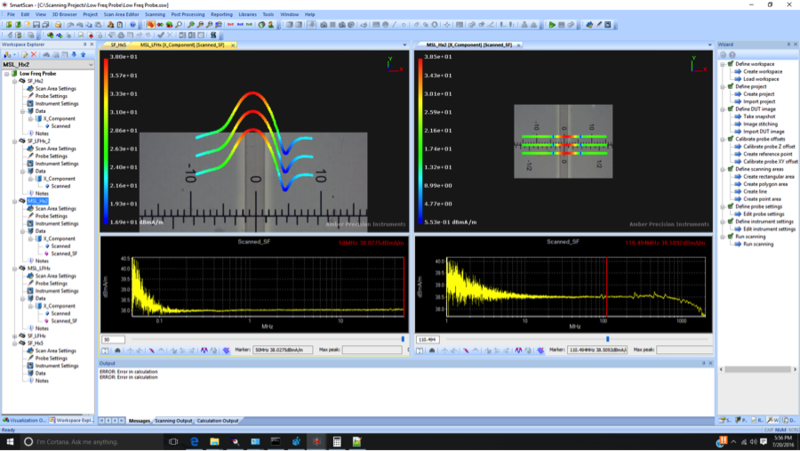 For automatic detection of the Electrical Center of the probe, an integrated Comb Generator is used together with the proprietary algorithm to achieve ±0.05 mm measurement uncertainty. Field components (Hx, Hy, Hz, Ex, Ey and Ez) measured separately could be combined in one measurement. 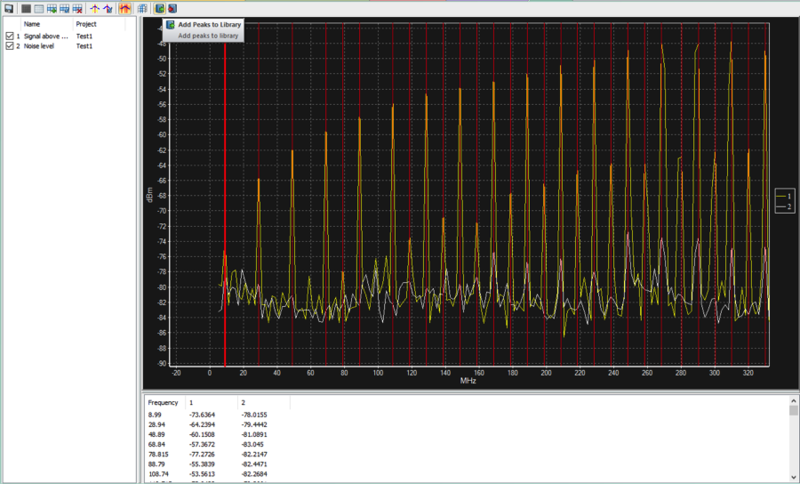 2D graphs allows exporting and peak search functionality similar to Spectrum Analyzer’s peak search. 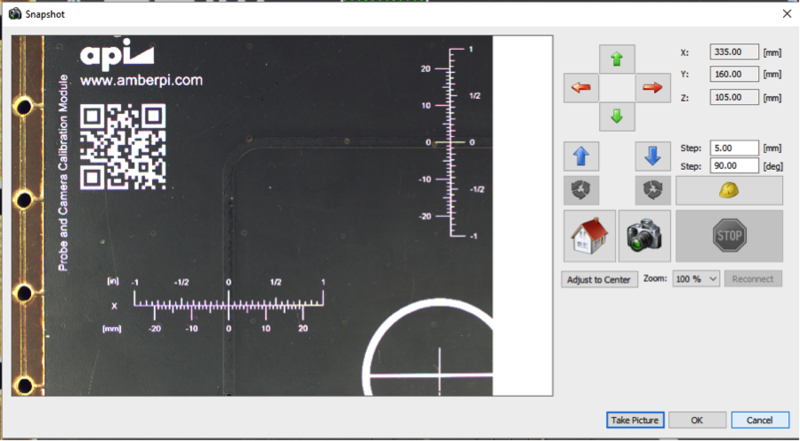 That allows user to skim through the measurement results quickly. 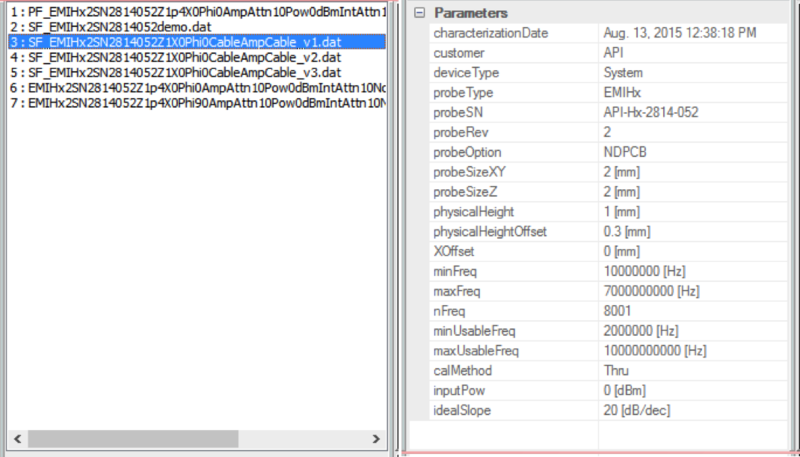 Component Library manages frequency response of all main components of the emission measurement setup: probes, cables and amplifiers. It also contains System Factor’s–frequency response of the entire setup that includes probes, cables and amplifiers. 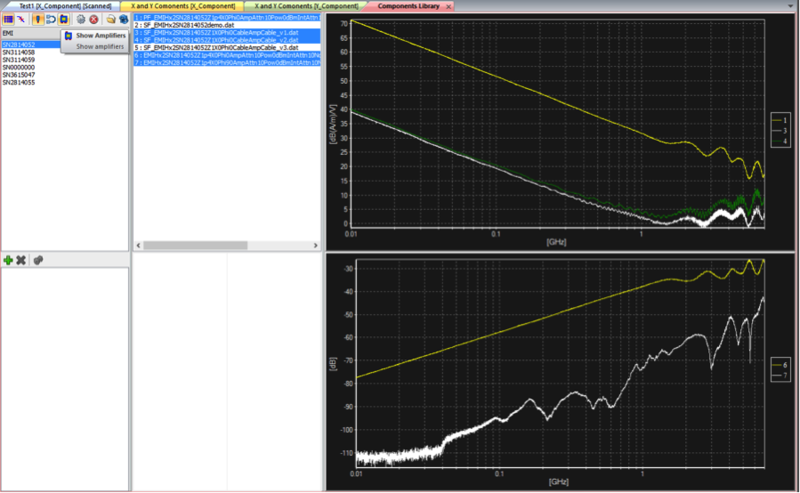 Intuitive GUI also allows user to compare frequency responses of different components in one plot. 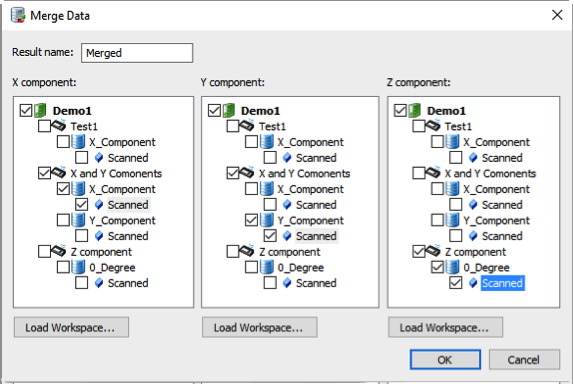 Component Library provides details information about measurement setup components that could be automatically exported to the final scanning report. Peak detection particularly handy for Shielding Effectiveness Evaluation reporting. 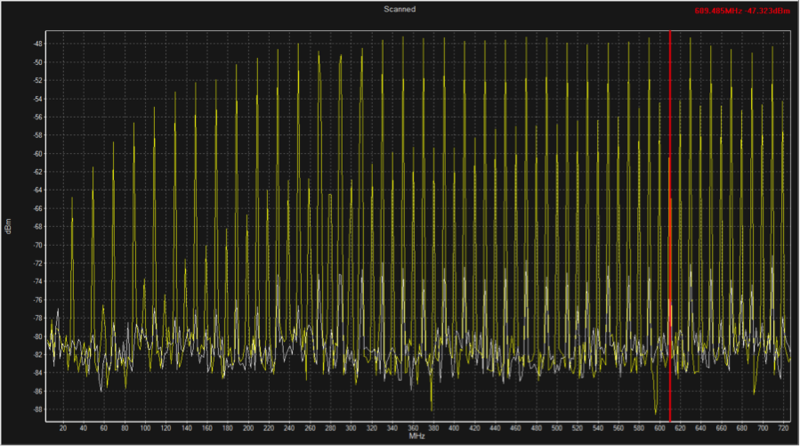 SmartScan allows user to select plots with customized view angle and frequency plot to add them into report. 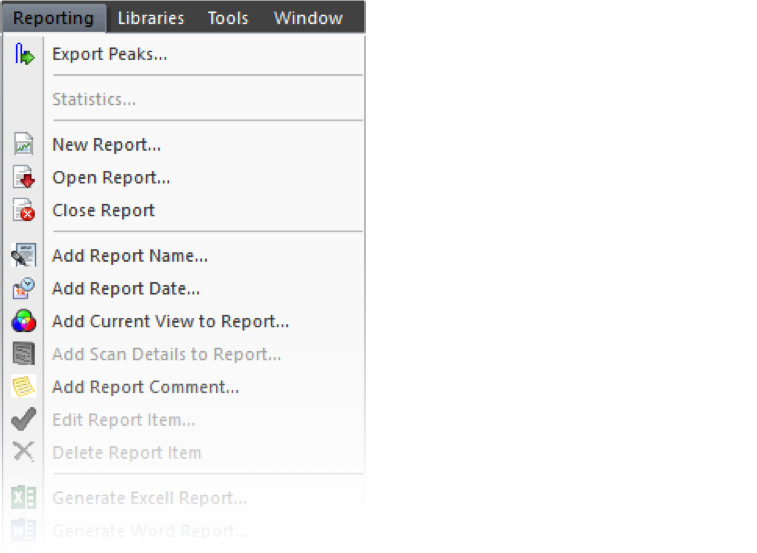 The report can be saved, edited and exported in different formats including MS World and MS Excel. 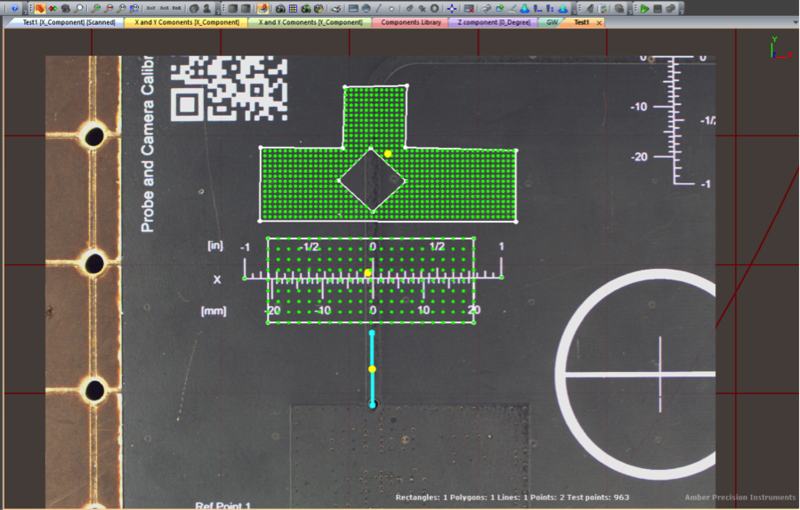 SmartScan’s Scanning Area Editor supports few different methods for creating scanning area on the surface of a DUT: free-shaped area, rectangle, line, single point. 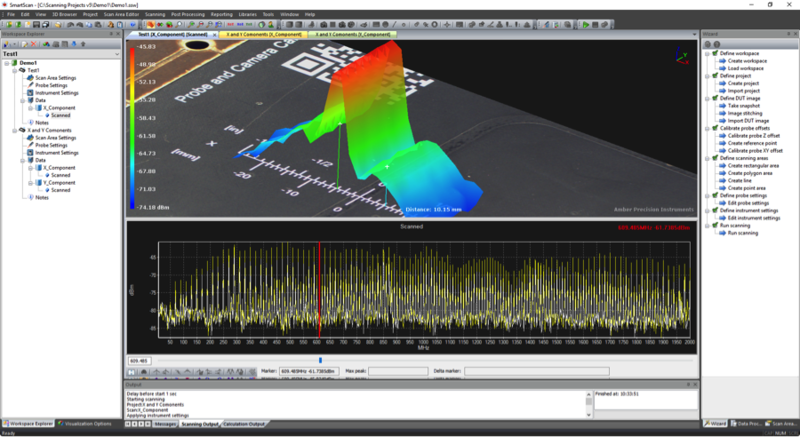 An integrated camera takes high-resolution image of a DUT for precise superposition.